With this product you can accumulate up to 14 Glitter Points. 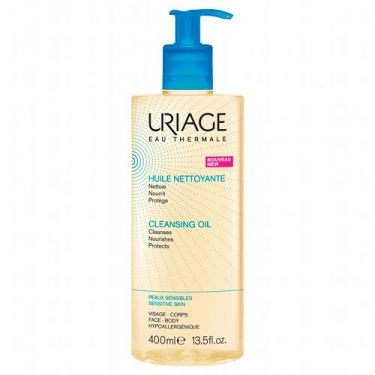 DESCRIPTION: Huile Nettoyant from Uriage is a lightly scented bath oil for dry and dehydrated skin. This daily hygiene care offers optimal hydration to the upper layers of the epidermis and cleanses the skin. Thanks to its ultra-gentle cleansing base, without soap, this oil gently cleanses the skin. Its texture in gelled oil leaves a protective film under the skin. The presence of super-thickening agents and Uriage Thermal Water protects the skin from the drying effect of water. Contains glycerine and bock-fudging agents to keep skin hydrated. Hypoallergenic. Without perfume. No preservatives. No soap.